It is with great sadness that the family of Rhonda Burris announces her passing after being diagnosed with advanced cancer, on Friday December 1st, at the age of 65. Rhonda will be lovingly remembered by her husband of 27 years, James and her children, Grady Reed of Lockhart and Vanessa Fluker of Taylor. Rhonda will also be fondly remembered by her three grandchildren, Kiersten Reed, Seth Fluker and Skye Fluker and by her brothers Rick and Steve Hopkins. She was preceded in death by her parents Neil and Helen Hopkins. 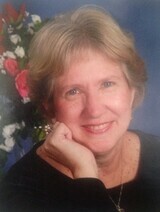 Rhonda taught 3rd grade in Sweeny for many years, touching the lives of all who came through her classroom. After teaching in Sweeny, she then taught pre-school at St. Mark Lutheran Church in Lake Jackson. 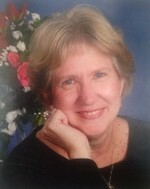 To send flowers to the family of Rhonda Lou Burris (Hopkins), please visit our Heartfelt Sympathies Store.